We are very proud of our organization. The Humanity Project helps kids to help kids (and sometimes parents) through our innovative programs that teach respect in many areas of daily life, including at school, at home and on the road. But did you know these cool facts about the Humanity Project? We have nine active social media pages, including Facebook, Instagram, Twitter, Tumblr and YouTube! Our thp4kids site includes a 24-hour professionally staffed hotline in partnership with organizations such as Covenant House and Boys Town! Our sponsors are loyal year after year and include many significant organizations from the business and nonprofit worlds, including State Farm, Google, Joe DiMaggio Children's Hospital, Our Fund, Children's Services Council of Broward County and many others! We have a PeacePage on our website with contributions from nonprofits and individuals on every continent, including Antarctica! It beautifully conveys real aspects of our common humanity: Visit the PeacePage. We teach the importance of respect, diversity and self-worth through arts-based programs, each with all-original materials including music, videos, roleplaying, games and other engaging elements! There's much more to know about the Humanity Project. But we thought these tidbits might be of interest for now. We encourage you to explore our websites and social media -- and to learn more about our free programs. And please consider joining our efforts to make this world a more respectful place. Today we officially welcome our new sponsor, Bennett Intellectual Property. The community-minded owner is attorney Allen F. Bennett and, as you might assume, his specialty is intellectual property law. We are very glad Allen has joined our growing family of impressive sponsors. Allen is the reason that the Humanity Project is now the Humanity Project® ... That small R in the center of a circle actually is a very big deal. It means that our name is formally protected under U.S. trademark law -- and no one can use it without our permission. We are THE Humanity Project from now on. Allen Bennett handled this important legal case for us pro bono and so joined the Humanity Project family. We surely can recommend Allen's work. He was efficient and effective as our representative as well as unfailingly pleasant in all our interactions. He got the job done right and got it done as quickly as possible. What more can you ask of a lawyer? So yes, we welcome Allen F. Bennett, Attorney at Law, to the Humanity Project® , We are proud to have him on our side. Just look at those happy kids! Wouldn't it be lovely if all children could feel this way? At the Humanity Project, helping children to live healthy, happy and productive lives is our mission. And much of our work happens in the schools. Even before the 2018-19 school year has started, the Humanity Project has been in South Florida schools in a big way. This includes our August 2nd Back-to-School event at Morrow Elementary School, where we'll work to create an environment of respect among all students throughout this academic year. 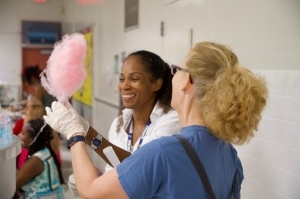 The Morrow event was a huge success, sponsored by our good friends at Children's Services Council of Broward County. Just check out some of the photos, most of them taken by our own Leadership Council member, Keith Spencer. Thanks, Keith, CSC Broward, Morrow Elementary -- and the dozen or so Humanity Project staffers and volunteers who helped out. We can't wait for the first school bell of 2018 to ring! Respect is at the center of everything the Humanity Project does, at the core of all we try to offer kids and parents. If you look over our home page carefully, you'll find respect among our three stated organizational values: Respect. Diversity. Self-worth. And when you stop to think about those three concepts, they all amount to the same thing in a way. Both an appreciation of diversity and an embrace of self-worth also require respect at their foundation. To seek diversity first requires respecting other individuals, other groups, other nations. We must understand the importance of seeking out the experiences of a wide variety of people from many places and many backgrounds. Similarly, self-worth obviously is just another form of respect. Respect for ourselves, our intrinsic value as individual human beings. We're very pleased to announce a wonderful, and very tasty, new fundraiser being held for the Humanity Project. Bona Italian Restaurant in Wilton Manors, Florida, near Fort Lauderdale, will host us on Monday, June 11 -- and a full 10% of the evening's proceeds will go to help Humanity Project antibullying programs. 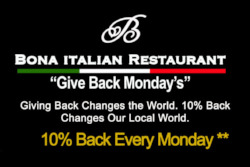 Bona Italian Restaurant is a public-spirited establishment that regularly offers its patrons a chance to assist local nonprofits through "Give Back Mondays." We are honored and we are grateful for this opportunity. Appropriately for Pride Month, the fundraiser runs from 4 p.m. to 10 p.m. on Monday in one of the most LGBTQ-friendly cities in the United States. Here's the address: Bona Italian Restaurant, 2468 Wilton Drive, Wilton Manors, FL 33305. You'll find their website at www.bonaitalianrestaurant.com. The LGBTQ population is disproportionately bullied in the schools and the Humanity Project's Antibullying Through The Arts and Humanity Club programs are proven effective in preventing bullying behavior. Our organization also is sponsored by several LGBTQ organizations including Our Fund. We are staunch allies, colleagues and friends of the LGBTQ community. If you'd like to donate to the Humanity Project, or hold your own fundraiser to support our programs, please just go to the Contact page on this website and get in touch. We would welcome your help. Which, of course, allows us to help many more of them -- our kids. We will keep this blog post brief. Mostly because we'd prefer that you devote your time on our website today to listening rather than reading. You'll find our latest podcast well worth hearing. 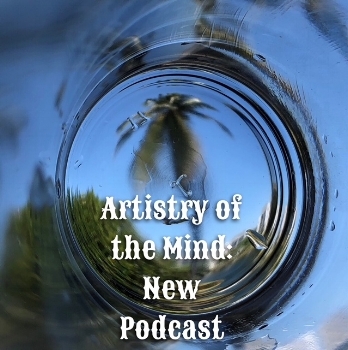 Our guest is Bethany Auriel-Hagan, a gifted Guided Visualization Artist from California -- and she has much to say that many people should hear. We're honored that Bethany is a new friend of the Humanity Project. And everyone here warmly welcomes her to our community! Bethany's podcast with Humanity Project Founder, Bob Knotts, covers a wide variety of fascinating topics, including self-acceptance, self-worth ... and how we as individuals can find those qualities within us. To hear the podcast, just click on this link: Listen to the podcast with Bethany Auriel-Hagan. You'll be glad to make the acquaintance of this remarkable woman.